Precast construction can be cost effective both on a first cost and on life cycle cost projections. Fast construction means earlier occupancy and reduced financing costs. Winter construction can proceed with few weather delays as precast components are prefabricated in heated plants. Precast prestressed concrete offers long spans, heavy load carrying capacity and shallow construction depths. 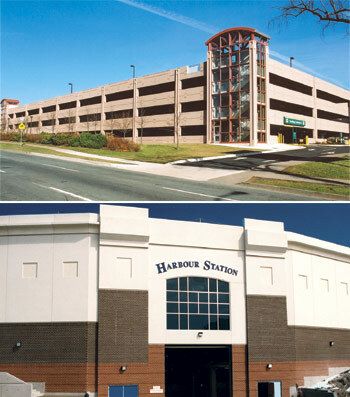 Precast offers corrosion resistance, clean dust free surfaces, low maintenance and fire resistance. The appearance and aesthetic possibilities of precast offer plenty of design freedom. Quality control is assured by precast certification to CSA to A23.4 - "Precast Concrete - Materials and Construction".